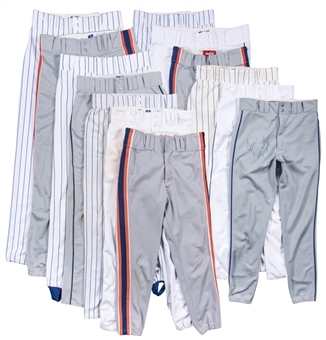 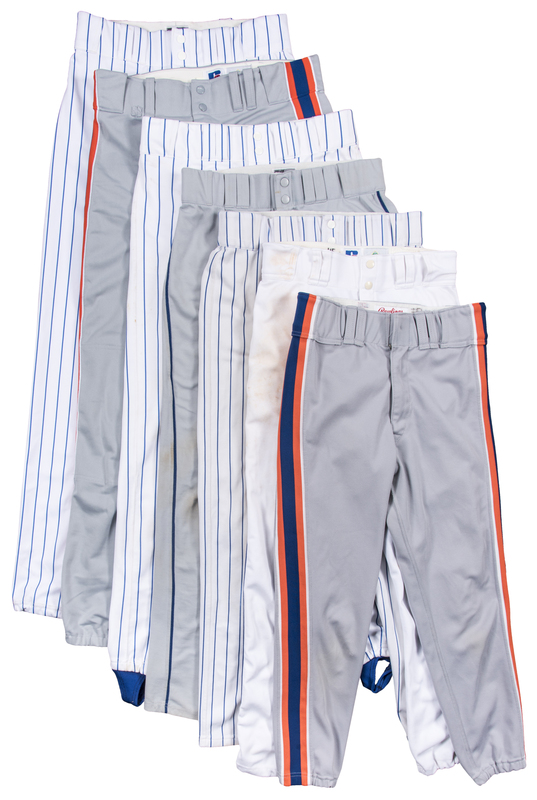 Offered here is a collection of 13 game used New York Mets pants worn circa the 1990’s. 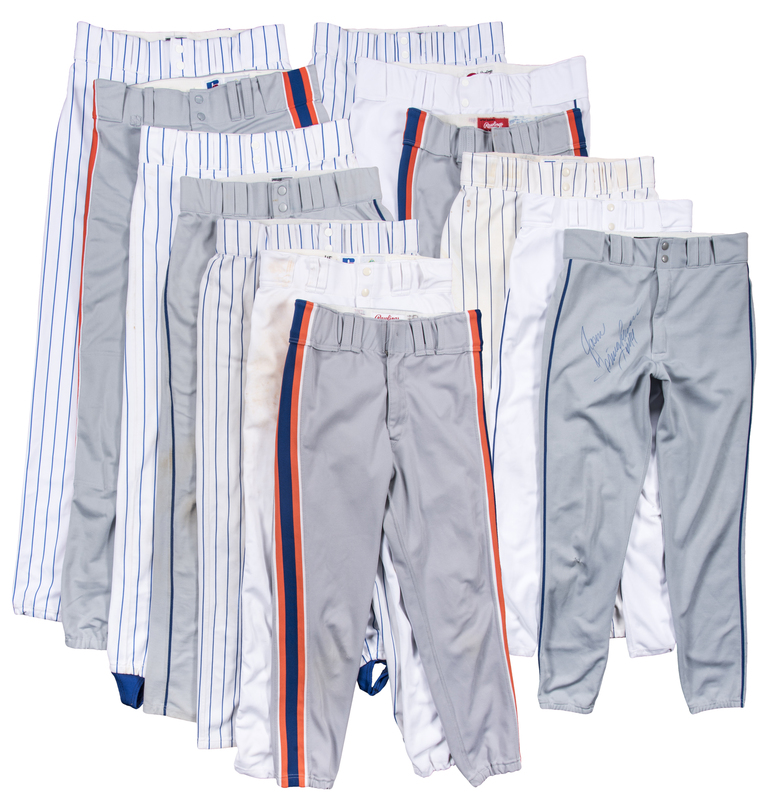 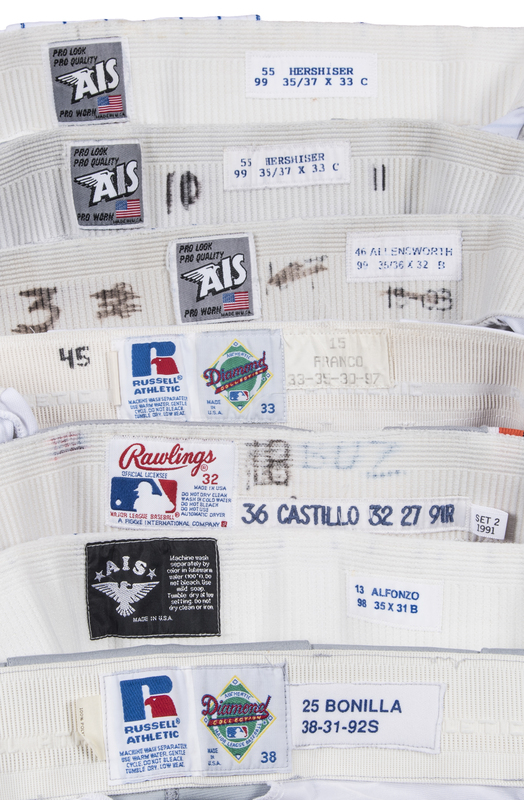 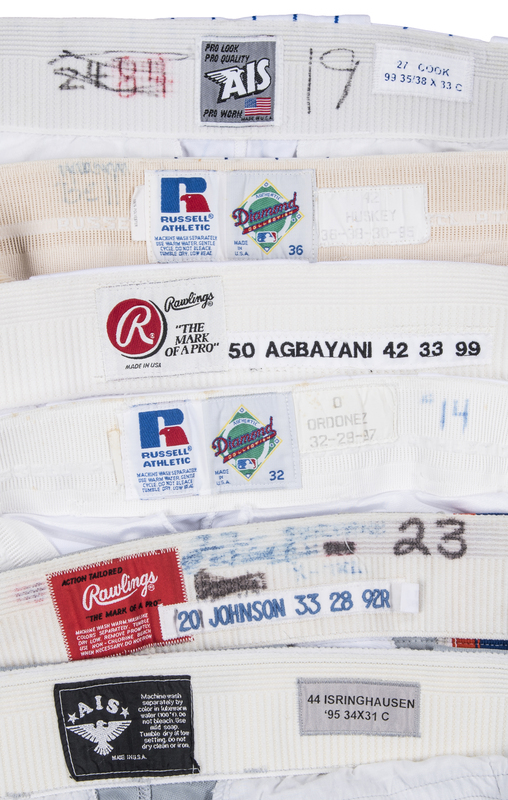 Included in this lot are five gray road pants worn by Jason Isringhausen, Howard Johnson, Orel Hershiser, Tony Castillo, and Bobby Bonilla, three white home pants worn by Benny Agbayani, Rey Ordonez, and Matt Franco, and five pinstriped white home pants worn by Dennis Cook, Butch Huskey, Hershiser, Jermaine Allensworth, and Edgardo Alfonzo. 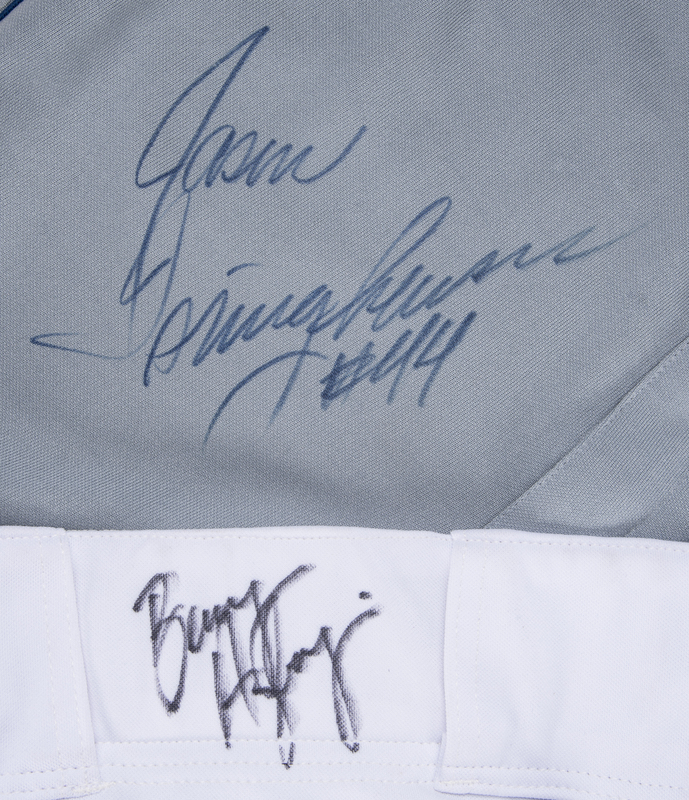 Agbayani has signed his pair of pants in black marker, while Isringhausen has signed his pair in blue marker. 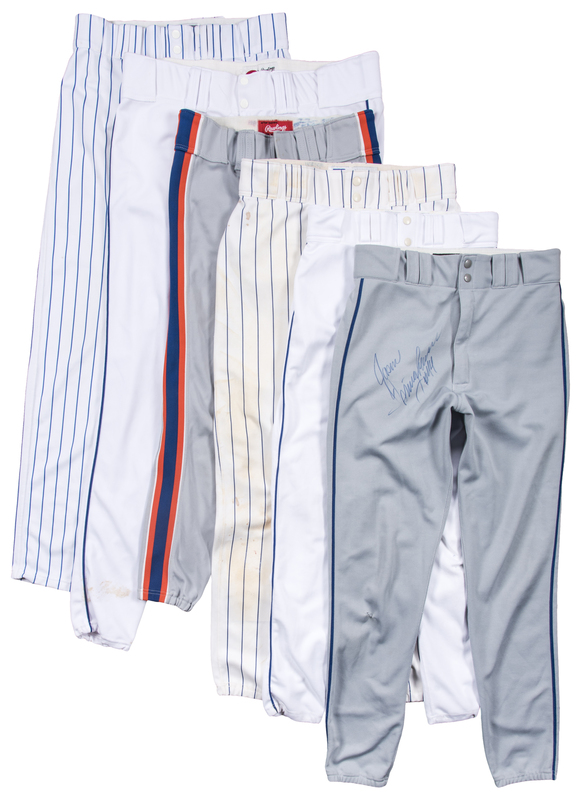 The two signed pants come with a COA from Beckett Authentication Services (F63994, F63995). 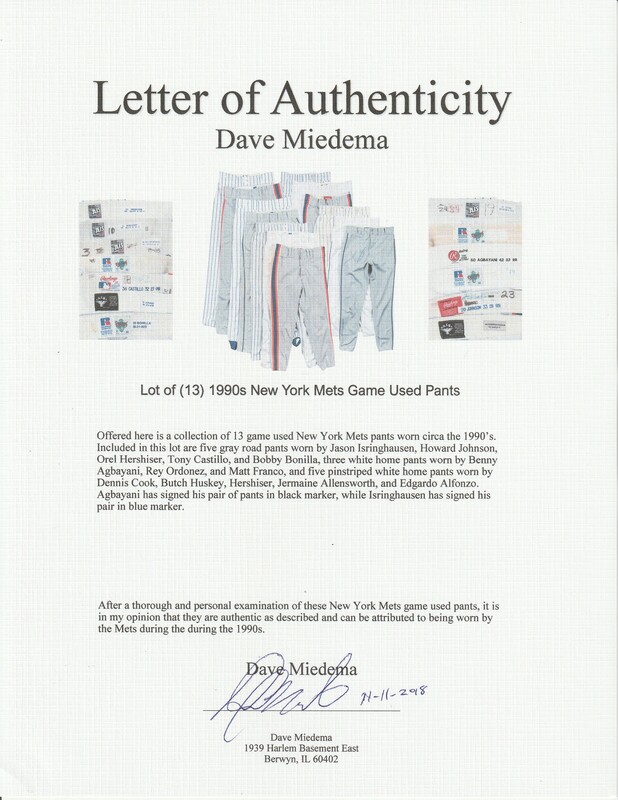 The lot comes with a LOA from noted game used expert Dave Miedema.